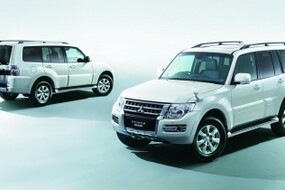 End of the road for Mitsubishi Pajero? The Toyota Hilux Dakar edition is a limited edition bakkie kitted out with some exterior and interior accessories. We drive it through puddles and mud in this video review. 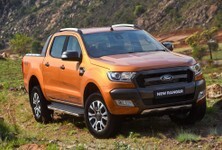 Special edition bakkies can be brilliant, but they can also be bad. 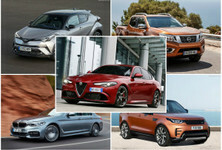 Check out this list of special edition bakkies gone wrong for some entertaining attempts at selling old stock. 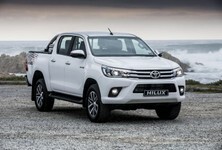 The Hilux Dakar features a restyled front end that Toyota is likely to continue using for the rest of this model's lifetime. There are also loads of Dakar decals for you to spot as you wander in and around the bakkie. It is limited to just 5 000 double cabs and 1 500 Xtra cabs. 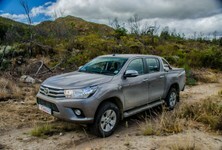 Searching for a used Hilux? Juliet is the editor of Women on Wheels magazine and its website. 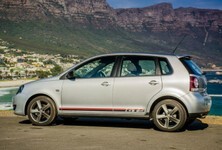 Juliet started her career at CAR magazine more than nine years ago after completing an honours degree in journalism at the University of Stellenbosch. She currently presents for Ignition TV on DSTV, as well as Cars.co.za’s popular Youtube channel. Juliet has a motoring slot on Cape Talk with John Maytham every second Monday and was a presenter for Tech Report which aired on ENCA. She is also a voice-over artist.